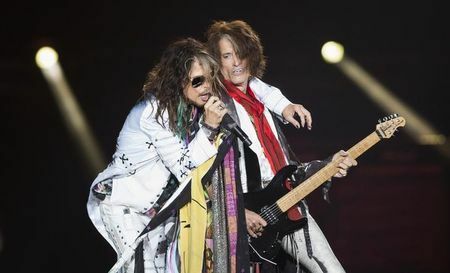 By Augusta Anthony, CNN | Aerosmith guitarist Joe Perry was taken to a hospital in New York on Saturday night after a performance with Billy Joel at Madison Square Garden. By Scott Baumgartner | Joe Perry doesn’t want fans to worry after collapsing backstage following a performance. The Aerosmith guitarist took to Twitter on Tuesday morning to assure fans that he is on the road to recovery since the troubling incident. “Doing well, thanks for all the love and support!” he wrote. On Saturday night, the 68-year-old rock ’n’ roll legend performed alongside Billy Joel at Madison Square Garden in New York City. Afterward, he collapsed in his dressing room, according to Deadline. Ultimately, he left the venue on a stretcher.